Story of a Poet: #5. 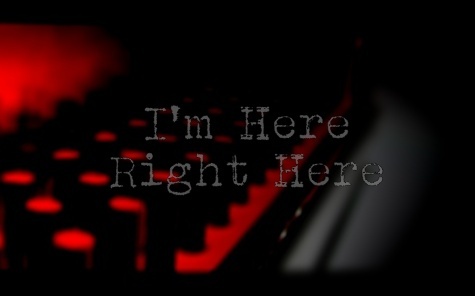 ~I’m here Right here~ – I'm Here; Right Here. This poem, simple and compact is a dedication to my blog’s name from none other than- me. I’m happy to make you smile. reminds me of my state of mind a couple of months back. I’m here. I’m right hear. why can’t anyone hear me? I’m here. I’m so sorry. Some harsh memories? Sometimes past is just past. Oh My God! How did I miss your comment. I did not get notified. I hate you wordpress for this. and we are glad you’re here. Ha! I am a sucker for a good rhyme 😄.